No record collections were added or updated last week. The list is the same as the list for the last six weeks. The last new record collection was added on 28 September. 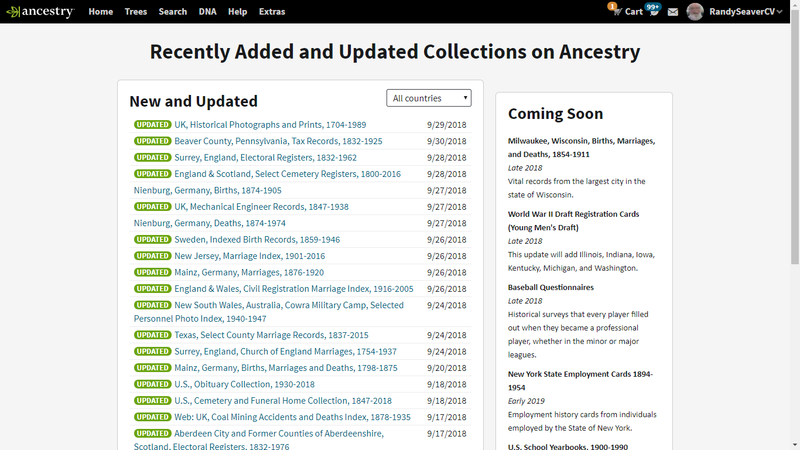 The last updated collection was updated on 30 September. By my count, there were 0 NEW collections ADDED this past week, per the list above. There are now 32,668 collections available as of 17 November, an increase of 0 from last week. No, I have no inside or outside knowledge of why this is happening. 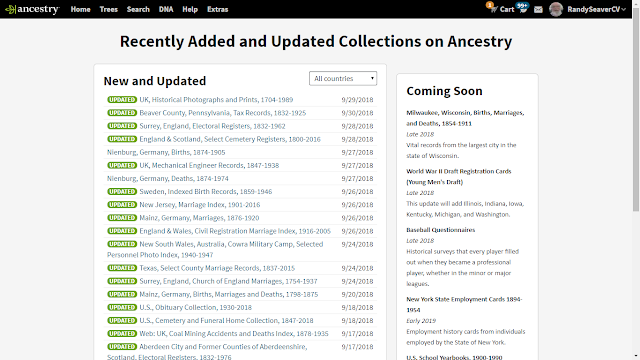 They have a number of "Coming Soon" databases listed, perhaps they are focused on those. They appointed a new CEO several months ago so there may be a management shuffle that has caused the slowdown in adding or updating collections. There may be management directives about concentrating on the new databases, or some other company initiative. There are still search issues, as I and others have noted. Perhaps they are focused on fixing those. We can hope! In the worst scenario, they may have let some of their content people go or hired new people who don't have enough experience to add or update collections yet. It's a private company right now, so unless they tell us why we are blind to internal changes.